The Mind Sports Olympiad is an international event with over 60 different board game competitions ranging from classics like Chess, Scrabble and Go to newer games, including Settlers of Catan, 7 Wonders, Dominion, Magic the Gathering and Carcassonne. Card games figure too, with an amateur poker world championship and bridge, along with a general knowledge quiz, stratego, shogi, and dominoes. Unique events include Tetris (video game) and a Computer Programming Championship, in addition to over a dozen world championships such as Memory, Mental Calculations and Creative Thinking. The most prestigious title is the Pentamind World Championship, which is awarded to the competitor who has the best results from five different competitions. There are also opportunities to learn games and play uncompetitively for free. The inaugural event was held in 1997 in London with £100,000 prize fund and was described as possibly the biggest games festival ever held. It was the first event of its kind aiming to create an Olympics of the mind, awarding gold, silver and bronze medals for each event. The Mind Sports Olympiad continues to take place every year in England. The Championships is under the authority of the Guild of Mind Sports Arbiters. GOMSA is the first multi-sport refereeing and arbiting service for mind sport competitions. Its role is to train, raise standards, provide qualifications and professional development for its members, and enable the results and score of more mental challenges to be independently verified and accepted. GOMSA is an independent membership based organisation and has no commercial links to any one sport or to any commercial organisation. From amongst its members it elects its officials who serve for period of one year. GOMSA is funded by membership subscriptions, providing training and certification services and also from a percentage of arbiting fees paid by competition and event organisers. GOMSA also provides a testing, evaluation and certification service for new competition software. 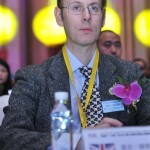 In charge of GOMSA is the Chief Arbiter of the World Memory Championships, and reigning World Mind Mapping Champion Phil Chambers. Phil has set the papers and marked the World Memory Championships for the last 25 years and is the author on numerous books on mental literacy. GOSMA will monitor attempts at cheating and maintain a directory of all the techniques and technologies, used by competitors to falsify their results across all sports. For those sports where this is applicable, GOMSA will also provide an independent service to monitor drugs and doping tests using appropriate medical professionals. GOMSA will develop a professional development programme for members giving them the opportunity to learn the rules of new mind sports and to be mentored by experienced arbiters in those sports. A series of qualifications will be developed for each sport, as a way of demonstrating competence and experience. With the increase in the number of on-line competitions, the presence of a GOMSA arbiter with a group of competitors will make it possible to ensure that no cheating took place and that the results can be accepted. Chess, GO, Bridge, Competitive Memory, competitive Mind Mapping, Creativity, Speed Reading, IQ, Multiplayer Board Games, card games, strategy games, poker, draughts, mental calculations, speed memory, scrabble, backgammon, Mahjong, Renju, Shogi, Xiangqi. As an Official Arbiter, I pledge to act at all times as an Ambassador for GOMSA and stand for fair play in whatever sport I am officiating at. I pledge that all my decisions will be unbiased, fair and balanced, and that I will treat all competitors equally without discrimination. I commit to act honourably, and to promote the benefits of becoming a mental Athlete. I pledge to uphold the principles of fair play and transparency in accordance with the rules and regulations of GOMSA and of the sport I am arbiting. Qualified Arbiters will have their own unique electronic password for confirmation of their presence and supervision of a competitor or group of competitors during an on-line competition to ensure that the are complied with. On-line competitions with this facility would then be accepted as rankable.